It’s Thursday 7th May 2015 and election day is finally here. Today you can head off to your nearest place of voting, get rid of Ian Lidell-Grainger, end Tory control of Sedgemoor District Council and strengthen Bridgwater Town Council all in the space of a few minutes and all from the comfort of a Polling Station in Westover. And crucially all by voting Labour. 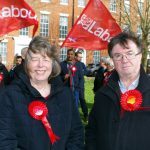 While we hope you will go out and vote for Mick Lerry the Labour candidate to be our next MP, and let’s face it he’s not only local, an experienced Town & District Councillor and an educator of Bridgwater youth, he’s also the best placed to challenge the Tories as the Lib Dem vote appears to have totally collapsed. But importantly it’s also time to think about Westover. Westover was established only 4 years ago in the boundary changes then and Kathy Pearce and Brian Smedley have been your district councillors. Both Kathy and Brian are standing for Sedgemoor District Council again, both live in the ward and both are experienced councillors. You will have 2 votes for the (yellow) district council election. Please vote for Kathy and Brian to keep Westover and Bridgwater strongly represented on Sedgemoor. The third ballot sheet (green) will be for Bridgwater Town Council which is controlled by Labour. 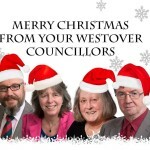 Westover has 3 councillors on the Town Council so you have 3 votes. 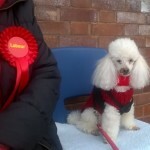 Please vote Labour 3 times on the Town Council ballot sheet. Labour control of the Town is critical for Bridgwater’s voice to be strong and united. For the past 4 years Westover was also represented on the Town Council by Steve Austen and Pat Parker. Both have decided to stand down this year having served our community extremely well over the years including stints as Mayor of the town by both of them. This time both Brian Smedley and Kathy Pearce are standing for the Town as well as the District. The third Labour candidate will be Pat Morley so please vote Morley, Pearce & Smedley for Westover on the Town ballot paper. Pat Morley lives in Westover, in fact right in the town centre and has a shop on the High Street. She has been a town councillor for 4 years already as she previously lived in Sydenham where she represented the Fairfax ward. She was also a former Labour County Councillor and a director of the Bridgwater Arts Centre. Q;- Who are you when you’re at home? A;-I am a 19 year old willowy blonde. Q;-You’re from Nottingham or Denmark aren’t you. What on earth brought you to Bridgwater? A;I came here with my family to be nearer to the sea (salt laden air is so bracing). Taunton, where we had been living for the previous 11 years is in a valley and so very sleepy. A;-Nick Griffin, Margaret Thatcher, Jean-Marie le Pen and the Chuckle Brothers. That’ll teach them. Q;- Nigel Farage. True or False? A; Impossible to answer without swearing. Q;- 4 years ago you were elected to the Town Council. What would you say were the greatest achievements of Nelson Mandela? A;I never dated Nelson Mandela. Q;- You opened a shop not long ago in the High street. Is this a case of ‘greater love hath no man’ ? A; No, it’s a case of here goes nothing. My next venture is to close it at the end of May. Q;-Dog or Cat? Cat or Squirell? Squirell or Jeremy Clarkson? The Dalai Lama. Not standing for Westover. Q;- ‘Uneasy lies the head that wears the throne’. Discuss. Q;- If you had as your guest , for instance, the Dalai Lama, which 3 places in Bridgwater would you take him and his wife first? A;Obviously Spoons, t’Arts Centre and the Fountain. Q: If you could live your life again, what hair colouring would you have? Q;- Is there , in any real sense, an actual point to anything? A;If there were a point all this would be beside it.